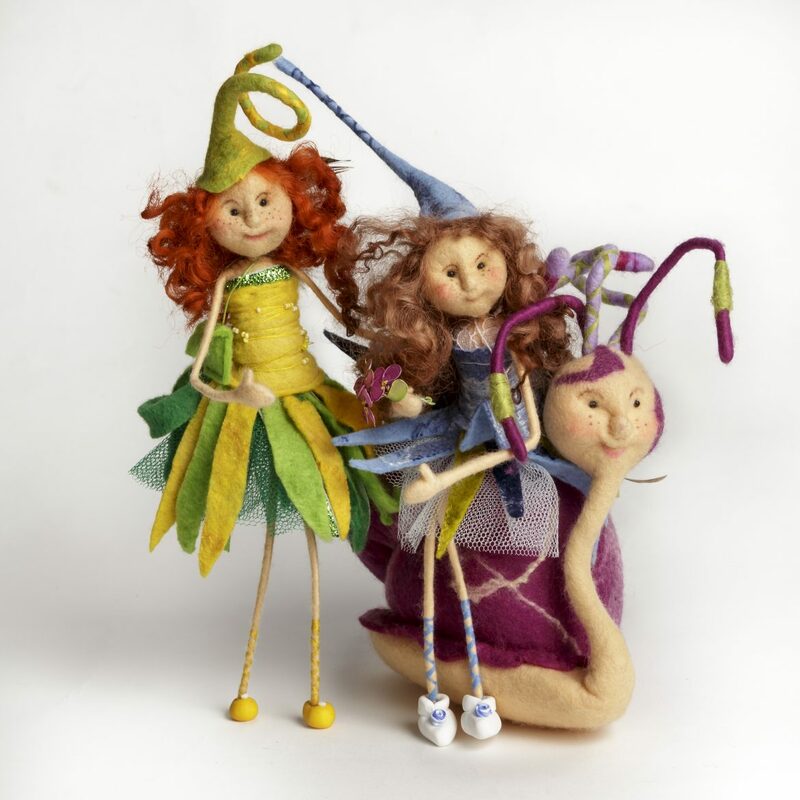 Franziska Lienberger was born in Switzerland and now lives in the heart of Roscommon where she runs her family business Irish Felt Fairies. Franziska completed an apprenticeship and worked with leather as a professional saddler for several years. After travelling extensively, she settled in Ireland in 1993 and began wet felting over 12 years ago. She creates enchanting 3D feltworks and wall hangings with free motion embroidery based on mystic Ireland and fairies, leprechauns, imaginary creatures, part of Ireland that is just waiting to be discovered again. Franziska’s craftwork is handmade by design and she also runs courses for all ages offering a little bit of magic and wonder for all who take part.